As busy as week 1 was, week 2 seemed even more eventful. Thursday: another good night’s rest enabled us to do some more exploring. We spent the morning at the playground to give the boys some play time. 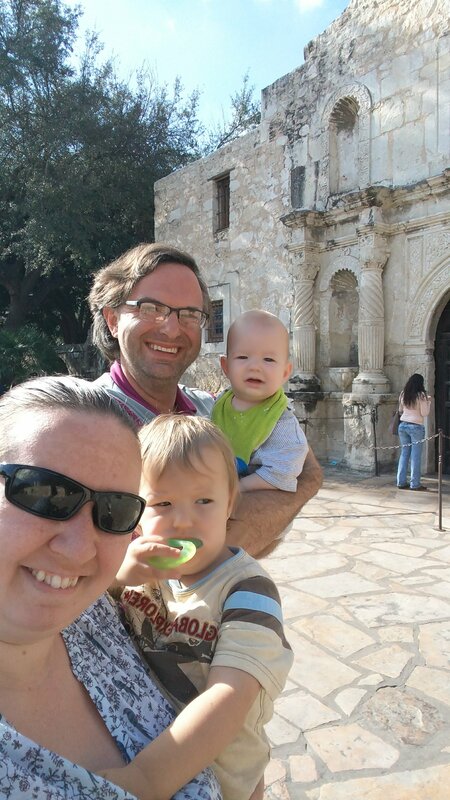 Then we headed for the famous Alamo. Did you know this was originally a church? I have to say, for a city that promotes this fort so much, it really was a let down. First off, we’d been passing it all week and I had no idea. 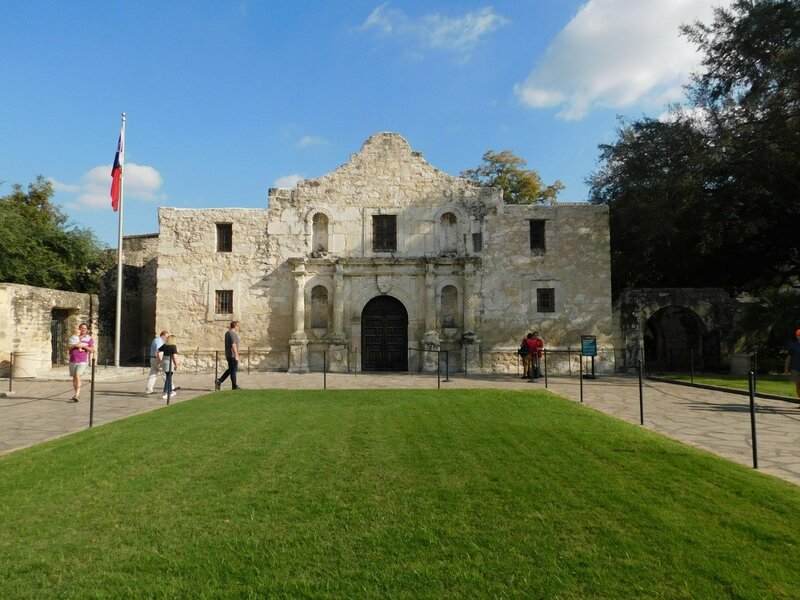 Second, for all the talk of the Alamo, it was actually a huge defeat for the city, which they try to gloss over. After our visit, we headed to the store to get some stuff for dinner, which turned into a very long walk. While it was tiring, the days activities helped tire out the boys and get them to bed early that night. However, we were met with an unpleasant surprise. Apparently, Thursday night is music night at a nearby restaurant. And. They. We’re. LOUD! I’m all for music but not at 9p on a Thursday night near an neighborhood!! When we complained, they basically said ‘well they’re booked til 11. There’s nothing we can do’. So we called the police to complain. However, we have no idea if it worked as they did stop after 11p. (Not great for my sleep). According to a neighbor we met during all this, this happens every week and Fridays are worse, since more restaurants hosts their music nights. Definitely not information that was included on Airbnb when we rented the house. Friday: Thank goodness our car and RV were ready – I was NOT going to try to get my kids to sleep with so much loud music planned for the evening. 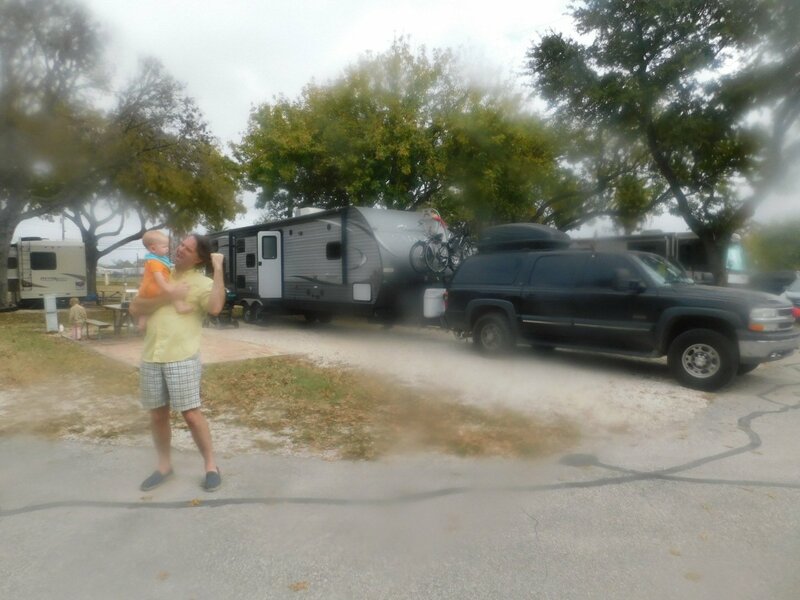 So while I spent the morning with the boys (mini-man fell asleep), Damon picked up and delivered our RV back to our RV resort. I’ve never been so happy to see my RV in a long time. Saturday: Even though we just got the RV back to the RV resort, this was our final day. Due to availability, we booked ourselves at two different sites while were in San Antonio. So after some morning errands, we spent a wonderful afternoon enjoying our resort. Then we went to the pool, which mini-man adored and little-dude, not so much (he preferred to nap). All of these activities added up to early bedtimes for the boys. Good thing, too, since we’re moving in the morning. Sunday: although we had a slow start, we managed to get out of our campsite on time. However, we didn’t realize that most of our path would be blocked by the San Antonio Rock-n-Roll Marathon. Slightly annoyed, we had to figure out where we could go while the marathon finished. 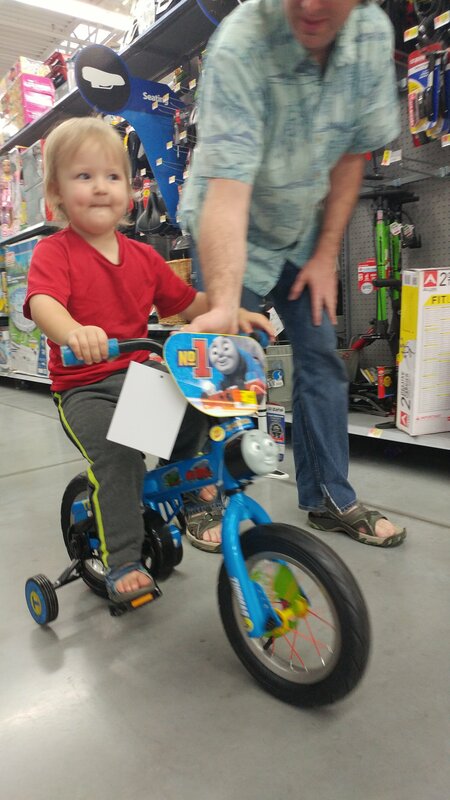 Thank goodness for Walmart. There was one accessible and close to our campsite with plenty of parking. We were able to pickup something’s and have lunch while we waited for the roads to clear up. After setting up and Naptime, we decided to decorate the RV for Christmas. 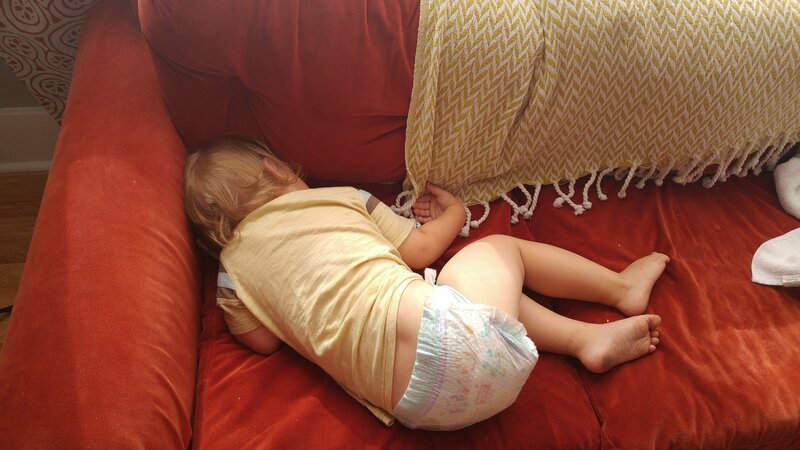 While this was happening, little-dude achieved a major milestone – he started crawling!!! And, if you can believe it, even more happened during the rest of the week.